The Frog Queen sits serenely on her lily pad, regal, though maybe not very bright. I've just completed The Rat Queen, too. 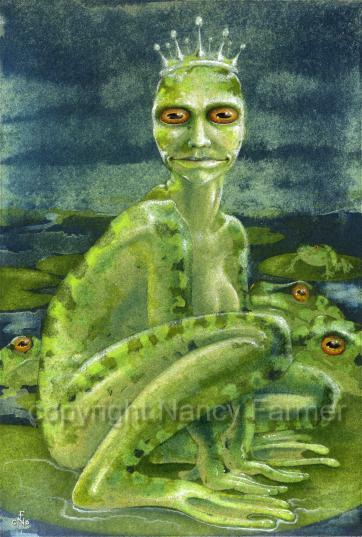 'The Frog Queen' - picture by Nancy Farmer. 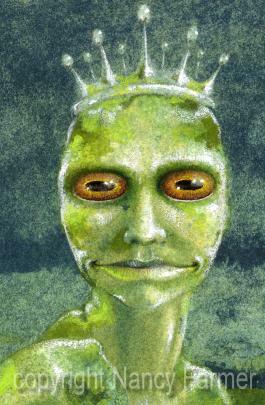 'The Frog Queen' - close-up.